The Ministry of Natural Resources and Forestry said no charges will be laid in connection with a forest fire near Parry Sound that consumed over 11,000 hectares of forest in the summer of 2018. 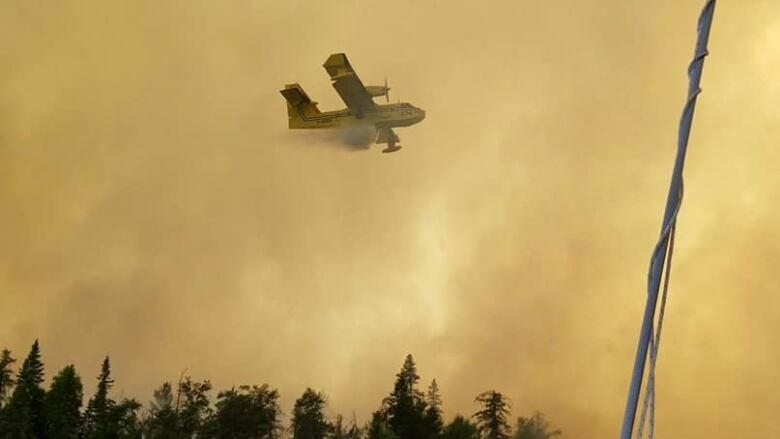 The Ministry of Natural Resources and Forestry said no charges will be laid in connection with a forest fire near Parry Sound that consumed over 11,000 hectares in the summer of 2018. A release from the MNRF Friday afternoon said a forensic investigation undertaken by the ministry found that the fire began at the location of a "disabled vehicle in a remote area of Henvey Inlet." The ministry added that although they could pinpoint the cause of the fire, no provincial offence under the Forest Fires Prevention Act was found to be committed. Parry Sound 33, as the wildland fire was called, began July 18 and was finally declared "being held" on August 9. At its height, evacuation orders were issued for a number of cottages in Henvey Inlet, and along Key River and Pickerel River. The fire was finally declared out on October 31.